The Table is the newest version of our 8:45am worship opportunity in the Sanctuary. 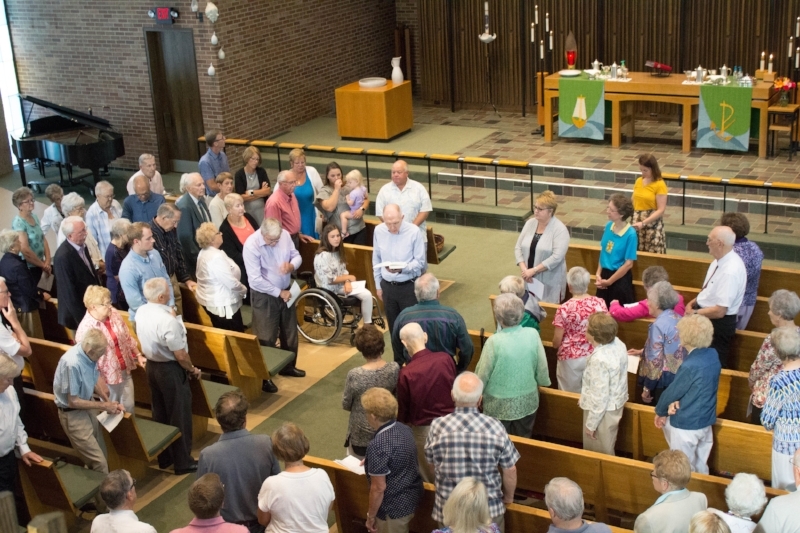 The Gloria Dei staff and a host of volunteers have been hard at work crafting an experience rooted in our rich liturgical tradition that is fresh and inviting every week. Our weekly offering will include diverse leadership from pastors, worship assistants and cantors, and we will explore a variety of musical styles and dynamic messages grounded in the the gospel. To create an open environment, we’ve made some changes to the space in the Sanctuary. Our baptismal font sits at the back of the space to create a feeling of welcoming and a reminder that you are loved when you enter, and a reminder of who you are when you leave. A Kid’s Corner is set up in the front of the Sanctuary as a place for children and their families to engage in creativity and expression during worship and as a reminder of the wonder we can learn from them in our everyday lives. We are excited to offer this new worship experience. We know you and your friends and family will enjoy it too!